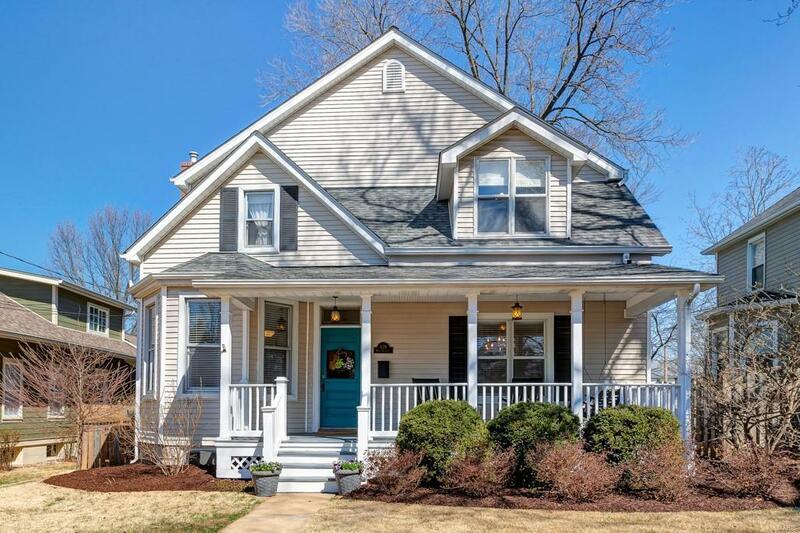 439 West Argonne is the quintessential Kirkwood home, with the perfect setting between the green of an incredible park and one of the most vibrant, walkable âdowntownâ neighborhoods in St. Louis. Originally built in 1895 as a simple shotgun bungalow, the current 2.5-Story home includes 4 bedrooms and, with the finished room on the 3rd level, it has been expanded to over 2,600 sq. ft. The rooms are bright and airy, with high ceilings and a lovely flow from formal front rooms to the casual areas in the rear. The kitchen has been updated with newly refinished hardwood floors, granite countertops and stainless-steel appliances. Lots of prep space and great island, but still plenty of room for a farm table. The outdoor space is quiet and private, with a wonderful wood deck and charming 2-car garage painted âbarn redâ accessible from a rear alley. Donât miss this oneâ¦ see you on the front porch! Please note: the laundry is located on the main floor.